Okay, this is going to be a long extract, but bear with it. It all needs to be said. One of the arguments I’ve seen Libertarians use to defend their ideology of a minimal state and absolute laissez-faire free enterprise and zero state welfare, is that liberals and socialists don’t have any philosophical arguments to justify their position beyond pointing to the practical, positive effects. I’ve seen this line stated by one of the more notorious Libertarians, Vox Day. Not only is Day a supporter of the miserable and immiserating economics of vons Hayek and Mises, but he has extreme right-wing views on feminism and race. You can tell just how far right he is by the fact that he calls Donald Trump ‘the God Emperor’ and refers to Anders Breivik, the man who called 70 odd children at a Norwegian Young Socialists’ camp, a saint. He really is despicable. Underlying all these traditions and prejudices there is a particular metaphysical theory-a metaphysical theory which takes hold of those persons especially who are fondest of abjuring all metaphysics; and the disease is in their case the more dangerous since they do not know when they have it. The chief symptom of this metaphysical complaint is the belief in the abstract individual. The individual is thought of, at least spoken of, as if he had a meaning and significance apart from his surroundings and apart from his relations to the community of which he is a member. It may be quite true that the significance of the individual is not exhausted by his relations to any given set of surroundings; but apart from all these he is a mere abstraction-a logical ghost, a metaphysical spectre, which haunts the habitations of those who have derided metaphysics. The individual, apart from all relations to a community, is a negation. You can say nothing about him, or rather it, except that it is not any other individual. Now, along with this negative and abstract view of the individual there goes, as counterpart, the way of looking at the State as an opposing element to the individual. The individual and the State are put over against one another. Their relation is regarded as one merely of antithesis. Of course, this is a point of view which we can take, and quite rightly for certain purposes; but it is only one point of view. It expresses only a partial truth; and a partial truth, if accepted as the whole truth, is always a falsehood. Such a conception is, in any case, quite inadequate as a basis for any profitable discussion of the duties of Government. Life Mr. Spencer defines as adaptation of the individual to his environment; but, unless the individual manages likewise to adapt his environment to himself, the definition would be more applicable to death. It must not be supposed that we wish to blind ourselves to the many real difficulties and objections which there are in the way of remedying and preventing evils by direct State action. If assured that the end is good, we must see that the means are sufficient and necessary, and we must be prepared to count the cost. But, admitting the real difficulties, we must not allow imaginary difficulties to block the way. In the first place, as already said, State action does not necessarily imply the direct action of the central government. Many things may be undertaken by local bodies which it would be unwise to put under the control of officials at a distance. ‘Municipalisation’ is, in many cases, a much better ‘cry’ than ‘Nationalisation’. Experiments may also be more safely tried in small than in large areas, and local bodies may profit by each other’s experience. Diffusion of power may well be combined with concentration of information. ‘Power’, says J.S. Mill, ‘may be localized, but knowledge to be most useful must be centralized.’ Secondly, there are many matters which can more easily be taken in hand than others by the State as presently constituted. Thus the means of communication and locomotion can in every civilized country be easily nationalized or municipalized, where this has not been done already. With regard to productive industries, there may appear greater difficulty. But the process now going on by which the individual capitalist more and more gives place to enormous joint-stock enterprises, worked by salaried managers, this tendency of capital to become ‘impersonal,’ is making the transition to management by government (central or local) very much more simple, and very much more necessary, than in the days of small industries, before the ‘industrial revolution’ began. The State will not so much displace individual enterprise, as substitute for the irresponsible company or ‘trust’ the responsible public corporation. Thirdly, and lastly, be it observed that the arguments used against ‘government’ action, where the government is entirely or mainly in the hands of a ruling class or caste, exercising wisely or unwisely a paternal or ‘grandmotherly’ authority-such arguments lose their force just in proportion as government becomes more and more genuinely the government of the people by the people themselves. The explicit recognition of popular sovereignty tends to abolish the antithesis between ‘the Man’ and ‘the State’. The State becomes, not ‘I’ indeed, but ‘we.’ The main reason for desiring more State action is in order to give the individual a greater chance of developing all his activities in a healthy way. The State and the individual are not sides of an antithesis between which we must choose; and it is possible, though, like all great things, difficult for a democracy to construct a strong and vigorous State, and thereby to foster a strong and vigorous individuality, not selfish nor isolated, but finding its truest welfare in the welfare of the community. Mr. Spencer takes up the formula ‘from status to contract’ as a complete philosophy of history. Is there not wanting a third and higher stage in which there shall be at once order and progress, cohesion and liberty, socialistic-but, therefore, rendering possible the highest development of all such individuality as constitutes an element in well-being? Perhaps then Radicalism is not turning back to an effete Toryism, but advancing to a further and positive form, leaving to the Tories and old Whigs and to Mr. Spencer the worn-out and cast-off credd of its own immaturity. In Alan Bullock and Maurice Shock, eds., The Liberal Tradition: From Fox to Keynes (Oxford: OUP 1956), pp. 187-90. Libertarianism was discredited long ago, when 19th century governments first started passing legislation to clear slums and give the labouring poor proper sanitation, working hours and education. Its philosophical justification came later, but I think also effectively demolished it. The people promoting it, such as the Koch brothers in America, are big businessmen seeking to re-establish a highly exploitative order which allowed industry to profit massively at the expense of working people. It became popular through aligning itself with left-wing ideas of personal liberty that emerged in the 1960s, such as the drug culture, and in the ’90s produced the illegal rave scene. In the form of Anarcho-Capitalism, it also appealed to some of those who were attracted to anarchism, while attacking the communist elements in that philosophy. Its adherent also try to justify it by calling it Classical Liberalism. But it’s still just the same old reactionary ideology, that should have finally gone out with end of the Nineteenth Century. I think that as more people become trapped in poverty as a result of its policies, it’ll lose whatever popularity it once had. And perhaps then we can back to proper political theories advocating state intervention to advance the real, practical liberty of working people. Morris Dees with James Corcoran (London: HarperCollins 1996). A few minutes ago this evening I put up a post about an article on Hatewatch, a site by the Southern Poverty Law Centre that monitors extreme right-wing terrorism in the US, about the contacts between British Nazis, such as Thomas Mair, accused of the murder of Jo Cox, other extreme rightists, like Anders Breivik, and the National Alliance, the main Nazi organisation in the US. Twenty years ago, Morris Dees, the chief trial counsel at the Southern Poverty Law Centre, wrote this book about the emergence of the militia movement in the US. These are right-wing paramilitary organisations, which came out of the survivalist movement in the 1980s. Their immediate impetus was the FBI’s killing of the wife and son of Randy Weaver, a right-wing extremist during an attack on his home at Ruby Ridge. The militias included fringe Christian groups, such as Christian identity and the neo-Nazi compounds and organisations at Hayden Lakes. It was the nexus that published the Turner Diaries, written by William Pierce, a Fascist fantasy about a White supremacist rebellion against a future America dominated by ZOG – the Zionist Occupation Government – Jews and Blacks. This was the book that inspired Timothy McVeigh, who bombed the federal building in Oklahoma. These were and are armed groups that believed that America was run by a secret Jewish government intent on enslaving gentiles and determined to destroy the White race through racial interbreeding with Blacks. Flicking through the book again, I found a photo of Col. ‘Bo’ Gritz. Gritz claimed to be the real person on which Rambo was based, and for years supposedly toured Vietnam looking for missing American soldiers still kept in prison camps after the War. Apart from his paramilitary activities, Gritz also had some very strange metaphysical views. He turns up in one of the pieces by Adam Palfrey, collected in Cult Rapture and Apocalypse Culture, in which he is interviewed after a meeting with a little old lady, who was one of the New Age channellers, who appeared in the ’80s and ’90s. Most Channellers seemed to have been essentially decent types, offering fairly banal warnings about the importance of love, peace, spiritual values and the need to save the planet from a various cast of interplanetary aliens and Ascended Masters. Unfortunately, the interstellar authority this one channelled was Hathon. He was a 9 1/2 foot tall reptilian from the Pleiades and a Nazi, who told people that there really was an international Jewish conspiracy and UFOs were a Nazi secret weapon. It’s the kind of stuff Nicholas Goodrick-Clarke describes in his book on modern Neo-Nazi pagan cults, The Black Sun. At the time, there was a real fear that the Militias would try to organise some kind of coup, or at least begin a wave of extreme right-wing terror. Those fears largely haven’t materialised. One demented woman, who claimed to be a militia commander, tried to organise the Militias to form a mass march on Washington, but this never got off the ground as most of them suspected her of being a federal agent provocateur. And not all of them were racist. The commander of one of the Militias was Black, and there was a Jewish Militia, whose members believed that Jews should arm themselves against the possibility of a renewed Holocaust. Nevertheless, extreme rightwing terrorism is still very much a threat in America. In contradiction to the impression you get from the media, there’s more terrorism by White Supremacist and Neo-Nazis in America than from the Islamists. This is part of the milieu that’s produced the extreme right-wing radio hosts, who tell their listeners that America is in the hands of an atheist/ Communist/ Nazi/ Muslim conspiracy to kill good patriotic Christian Americans. The type of people, who blithely state over the airwaves that Obama is going to kill more people than Pol Pot. They’re part of the same milieu that has produced the Nazi supporters of Donald Trump, and that may be their most lasting and pernicious legacy to American politics. Thomas Mair, the suspect for the murder of the Labour politician Jo Cox, was a long-time members of the extreme Right, who had ordered about $600 worth of books on how to build home-made guns and ammunition from National Vanguard Books, the publishing arm of the National Alliance, the main American neo-Nazi organisation. Michelle, one of the many great contributors to this blog, sent me this link to an article on Hatewatch, the magazine of the Southern Poverty Law Centre that documents the activities of right-wing extremists: https://www.splcenter.org/hatewatch/2016/06/21/thomas-mair-brexit-and-us-uk-neo-nazi-connection. The Southern Poverty Law Centre has been around for decades. 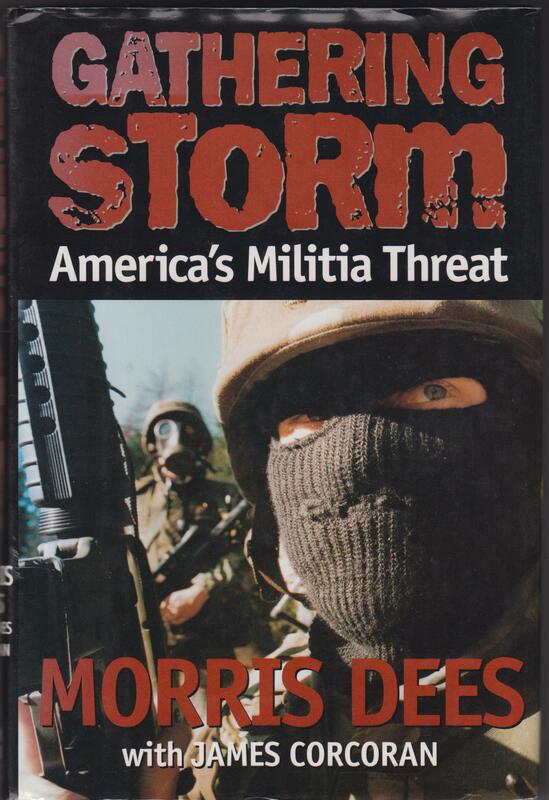 In the 1990s its leader, Maurice Dees, published a book on the threat of the Militias, independent, private armies of right-wing survivalists, bitterly alienated from the federal government, entitled Gathering Storm. The above article by Heidi Beirich, their intelligence director, describes the links to the National Alliance and other American Nazi organisations not just of Thomas Mair, but also Zack Davies, who carried out a brutal attack on a Sikh doctor in Mold in North Wales; Mark Cotterill, a former BNP member, who recruits for the National Alliance in Britain through his Heritage and Destiny website, Andrew Lovie, a former member of UKIP, and BNP stormtrooper, who has posted on the neo-Nazi website, Stormfront, in America. Among merchandising Lovie ordered from the National Alliance was a video game, ‘Ethnic Cleansing’, where the player goes around shooting Blacks and Jews. As grotesque and incredible as this sounds, it is all too plausible. When I was at College thirty years ago, the German Republican Party had got into the news and very hot water because of a computer game they launched, in which the player took the part of a the commandant of a concentration camp and had to prevent Jews, gays and leftists escaping. The article also describes the activities of two Brexit advocates, Andrew Tait and Matthew Tait, and Arthur Kemp. Andrew Tait ran a pro-Brexit website, ‘Vote Leave Take Control’, while Matthew Tait was a former BNP activist, who has spoken several times at conferences by American Renaissance, a racist outfit on the other side of the Pond. Tait also has his own website, Western Spring, in which he posted a pro-Brexit piece arguing that the EU was a Communist organisation to destroy the White race. Kemp’s a racist South African, who was a former officer of the BNP, and was at one time the media director of the National Alliance. Kemp also has a racist website, the New Observer Online, in which he calls immigrants ‘invaders’ and ‘rapefugees’. Other Nazi assassins elsewhere in Europe also have contacts with American Nazi organisations. These include Anders Breivik, who was a member of Stormfront, Peter Mangs, another National Alliance member, who killed three people in Sweden, and Maxime Brunerie, a French Fascist, who tried to kill the-then president, Jacques Chirac. David Copeland, the infamous Nazi, who killed a number of people in a bombing campaign in London targeting gays, Blacks and Asians, was partly inspired by the Turner Diaries, a work of fiction describing a future extreme-right coup in America, sold by the National Alliance. And then there’s Frank S., a German skinhead, who stabbed Henriette Reker, a mayoral candidate for Cologne. He also was active online. The current Chairman of the National Alliance, Will Williams, is also living on welfare due to psychological problems, and has a history of victimising women. He celebrated the death of Jo Cox, stating that she had placed a target on her back. Politically, the membership of extreme right-wing organisations in Britain is very low, but they are extremely violent, and as this article shows, several of the most vicious have transatlantic contacts. And there is a real danger that this violence will be spread and encouraged by Brexit. As one of my brother’s foreign friends has found, the amount of racism has increased and become very personal. This is, of course, exactly what the terrorists wanted. Terrorists always want to set people against each other, for the wrong reasons. The vast majority of Muslims are likely to have been as horrified at the terror attack as everyone else – but what are they supposed to think, now that innocent Muslims are being attacked by idiots? Here’s the real voice of Islam, in the words of Vox Political commenter ‘Nightentity’ yesterday: “Those that believe these so-called Imams are ignorant of their faith and will believe anything they hear that makes them seem intelligent and all knowing to the other ignorant [people]. “Terrorism is not Islamic, you don’t cause suffering to the aged, the weak and the innocent, you don’t hide behind masks and scarves, you stand like a man and fight a man’s battle. These terrorists are cowards and weaklings for they hide behind a faith that does not condone what they do. This is entirely correct. One of the aims of terrorist organisations, from the Russian revolutionaries through to the IRA, is to provoke further reprisals and attacks against the people they claim to be defending by the authorities, in order to create further disaffection and radicalisation. I don’t believe for it was an accident that the savage attacks on Charlie Hebdo were carried out when they were. Germany this week has been torn by demonstration and counterdemonstration by and against Pegida, an anti-Islamic organisation. Pegida’s name is an acronym for ‘Patriotische Europaer Gegen der Islamisierung des Abendlands’, or ‘Patriotic Europeans Against the Islamisation of the West’. And last week, in France itself, a Right-wing television host, Zammour, was finally sacked. Zammour seems to have been an extreme Right-wing bigot of the same stripe as Glen Beck, the American nutter, who declared that the young victims of Breivik’s massacre in Norway all deserved it because they were anti-Semitic Nazis. No, really, he did. Zammour was thrown out because he declared that France’s five million Muslims should all be deported. This ran chills down the spines of genuinely patriotic French people, as it recalled the deportation of the Jews to their extermination in the Nazi death camps under the Occupation. The attacks on Charlie Hebdo were timed to coincide with this period of stress and potential conflict over Islam in Europe. I don’t think it is any other than an attempt to provoke further violence and civil war between Muslim and Non-Muslim. Much of the anti-Western Islamic polemic is against Western racism, portraying White Europeans and Westerners as viciously racist, and contrasting this with the supposedly non-racist nature of Islam. It’s clearly aimed at disenfranchised non-White Muslims, who may themselves have been victims of racism. I reject its view of the West and western society. The attack on Charlie Hebdo, and the further threats of attacks and atrocities in the West by al-Qaeda and Isis, are designed to make White westerners behave according to the Islamist stereotype of them as racist bigots. That way, the Islamists can spuriously claim to have shown the true, racist nature of Western society and gather further support. It’s obvious from this that, whatever we do, we should not let them. Non-Muslim and Muslim should stand together now to prevent further hatred and violence. Mike’s article also has some of the visual tributes from fellow cartoonists to the murdered staff of Charlie Hebdo. Uderzo, who with Goscinny is the writer and creator of the world’s favourite ancient Gaul, shows Asterix and Obelix bowing in dignified respect. The two other cartoons, by Steve Bell and Lew Stringer, are a direct comment on the stupidity and cowardice of the attackers themselves. Mike’s article is at http://voxpoliticalonline.com/2015/01/08/charlie-hebdo-update-french-mosque-attacked/. It needs to be read. 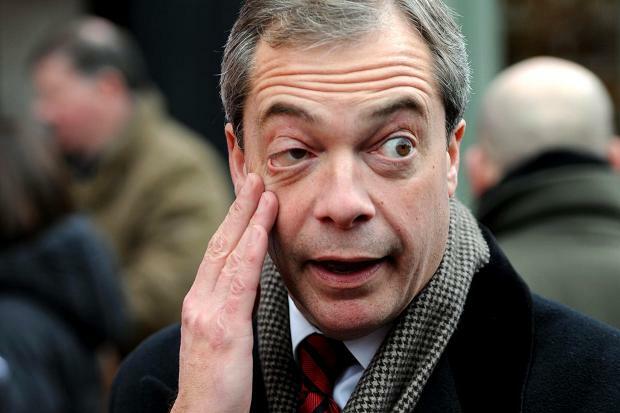 Farage’s comments about political discourse being different in other parts of Europe, thus allowing his party to join the same bloc as extreme Nationalist parties like the Danish People’s Party and the True Finns is also wrong and weak. It’s true to say that many of the other European countries don’t have the same culture of political correctness that there is in Britain. A Danish friend of mine told me that in Scandinavia non-Whites are regarded with a suspicion and hostility that he felt didn’t exist to the same extent in Britain. The Independent’s Yasmin Alibhai-Brown ten years ago described in her column the personal hostility she encountered as an Asian when she and her family went on holiday in France. I’ve also heard from others how the shops in some areas, like the south of France, will refuse to serve Arabs. Having said that, Alibhai-Brown has also written about how she and her family were treated well with no hint of racism when they went on another holiday across La Manche. And in the 1980s there was a national anti-racist movement amongst the young, when White youths showed solidarity with the Arab compatriots under a slogan, which translated as ‘Don’t Touch My Buddy’. This was initially directed against nightclubs, which refused to admit Arabs. Yet even in those countries, where it has been alleged that racism is more widespread than in Britain, the extreme Right is still very definitely not respectable. The Financial Times also described in one of its columns how the Germans also don’t share the Anglo-American culture of political correctness. Nevertheless, there are naturally very strong laws in Germany against Nazism. At least one Neo-Nazi party, the NPD, was banned for a time in the 1970s under the Basic Law as an anti-democratic force for an article it published in its newspaper celebrating Hitler’s birthday. One of the more amusing ways Germans have taken to express their very strong hatred of the new, extreme Right is through mass demonstrations taking the mick out of them. Paul Merton covered one of these in his travel programme a few years ago journeying through the land of Kant, Goethe, and Wagner. This is the anti-apple movement, the members of which were shown gathering outside one of the Neo-Nazi parties’ HQs in Berlin. There the protestors held up placards showing apples with the ‘banned’ symbol stamped across them, and shouted slogans about deporting apples, like ‘Sudfruchte Raus!’ – ‘Southern Fruits Out!’. The protest was organised by the politics professor at the University, who was very definitely no kind of Nazi. I found out later that the head of one of the Neo-Nazi organisations named had the element, ‘Apfel’, ‘apple’, and I have the impression that foreign immigrants of African ancestry are referred to as ‘southerners’. Hence the slogans about southern fruit. It’s a way of parodying the Neo-Nazis own racism and xenophobia, while turning into a very pointed attack on their Fuhrer. Put simply, the growing popularity on the continent of parties like the True Finns, the Danish People’s Party, or the Front National in France doesn’t make them any more respectable in their countries, let alone over here. As an ostensibly anti-racist party, UKIP certainly is under no obligation to sit with them or form blocs with them in the European parliament. 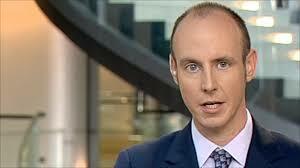 Tory MEP Daniel Hannan – claims BNP are Socialist, while wanting to privatise the NHS. I’ve blogged before on the Tory claim that Fascism, Nazism and, in Britain, the BNP, are forms of Socialism. There is indeed a perfectly respectable academic debate about how revolutionary the various European Fascist movements were. Mussolini started out as an extreme Left-wing Socialist, who broke with the Italian Socialist party in his demands that Italy should enter the First World War. He then moved increasingly and opportunistically to join the Italian Right, and in the red scare following the invasion of the factories by radical Italian workers promoted Fascism was a force, which would defend private property and the middle class against the threat of socialist revolution. The Nazi party in Germany also contained several Socialist demands in its 1926 political programme, such as profit-sharing and the confiscation of excessive profits from the War. These were also ignored, with the exception of a half-hearted attempt by Hitler to nationalise the department stores, when the Nazis finally came to power. Again, this was partly achieved through Hitler appealing to the middle classes, offering to defend them from Socialism and the organised working class on the way hand, and big business on the other. The allegation that Fascism is a form of Socialism re-emerged a few years ago with the Republicans in America at about the same time Jonah Goldberg’s Liberal Fascism was published. It’s an attempt to smear Socialism or an kind of progressive politics, which can be linked to socialism, like welfare provision or greater state regulation of the economy through a simple process of guilt by association and by suggesting some kind of equivalence. The argument is roughly that if Fascism is a form of Socialism, so, therefore, Socialism is also a threat to freedom and human life, like Fascism. Good American citizens should therefore reject Socialism, or anything that looks even remotely like it, such as Obamacare, and should vote for small-state Republicans instead. The most extreme example of this attitude was the extreme Right-wing American TV presenter, Glenn Beck. After Anders Breivik committed his horrific massacre of the children attending a summer camp run by the Norwegian Socialist party’s youth organisation, Beck went on to describe them as like the Hitler Youth in Germany. The reason for this vile accusation was that the Norwegian Socialists had criticised Israel for its policies towards the Palestinians. Beck saw this as demonstrating that the Socialists were anti-Semites, and therefore exactly like the Nazi party. Over here the accusation that Fascism is a form of Socialism has been repeatedly made by the Tory MEP for Dorset and Telegraph columnist, Daniel Hannan. Guy Debord’s Cat has produced a detailed refutation of one of one of his columns making this argument, which I’ve also reblogged. As far as I’ve been able to make out so far, the accusation was first made in the context of modern Tory politics by the Libertarian wing of the Conservative party in 1977. The group Aims of Industry published an attack by Stephen Ayres with the title The National Front is a Socialist Front. Ayres was an activist for NAFF, the National Association For Freedom, which later became the Freedom Association. The National Front rejected the accusation, and in return criticised the NAFF in the pages of its journal, Spearhead, for ‘simply echoing the voice of the new Toryism by emphasising the freedoms and rights that the individual should possess vis-à-vis the state but is afraid to mention the duties that the individual should hold towards the State and Nation.’ (See Larry O’Hara, ‘Notes from the Underground: British Fascism 1974-92, Part 1, 1974-83’, in Lobster 23: 15-20 (16, n. 30, 19). lobster’s editor, Robin Ramsay, has suggested that Thatcherism was based on Libertarianism, rather than the authoritarian Fascism of the BNP/ NF Right, as it seemed at the time. This seems to be true. Thatcher was strongly influenced by von Hayek and the monetarism of the Chicago School. As this has now become the dominant ideology within British Conservatism and the Republicans in America, so the Libertarian accusation that Fascism is somehow a form of Socialism continues to be made. In fact, Libertarians also have a history of backing extremely Right-wing, illiberal movements. Guy Debord’s Cat has pointed out that von Hayek himself served in the government of the Austro-Fascist, Vollmar Dollfuss. Dollfuss banned the Austrian Socialist party from the fear that they were organising a Revolution, and established a Corporate state like that of Mussolini’s Italy following the theories of Othmar Spann. Fascist Austria was more tolerant than Nazi Germany. A range of political opinions were permitted with the exception of Socialism. Nevertheless, it was still a Fascist state. After the War, von Hayek went to Chile to view the operation of the monetarist policies put in place by General Pinochet’s military dictatorship. And Libertarianism elsewhere also had a history of supporting murderous extreme Right-wing dictatorships. I distinctly remember the accusation that one of the Central American dictatorships and its death squads was also supported by the Freedom Association. While Fascism did contain left-wing elements, in practice it allied itself with the Right as the defender of property and private industry. The accusation that it, and its British forms, the NF and now the BNP, is really a form of Socialism, was rejected by the NF itself, and comes from the Libertarians, who have themselves supported brutal Right-wing dictatorships. The claim has been made to present the Tory party as the only authentic party representing and defending freedom. As has been shown recently by the authoritarian stance of successive Conservative administrations, including Maggie Thatcher and her policy of the strong state, this simply isn’t the case. Moreover, it supports the economic freedoms of industry against the welfare of the working and lower middle class majority, leaving them exploited by their social and political superiors. They support freedom, but only for a very narrow, select, and extremely wealthy few. For everyone else, it’s wage slavery.